You can win SO MANY THINGS! There is an amazing promotion going on that i'm a part of and I wanted to share it with you. No, you don't have to buy anything. 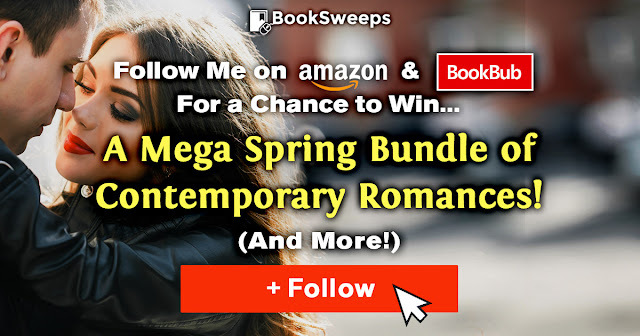 All you have to do is click to follow me on Amazon and/or BookBub and you're entered to win a Mega Spring Bundle of New Adult Romances, 1 of 20 $25 Bookstore Giftcards, PLUS a Kindle Fire or Nook Tablet!